DuPaul Construction, one of the top kitchen contractors in the area, discusses why gray kitchen cabinets are the future. Neutral shades are versatile in terms of interior design, and gray is one such hue. While kitchen design purists want to keep everything simple and functional, this philosophy means that the color choices suffer by either being too unimaginative (read: boring) or outlandish. When your kitchen is already over-decorated or possesses the mainstays like granite countertops paired with wooden furniture, a gray kitchen cabinet can offer a sort of visual balance. The inherent lack of warmth in gray may seem counterintuitive in a kitchen setting (or for most home additions, for that matter) because kitchens are supposed to gather the family together. Gray may indeed not work on its own, but pair it with wood and you’ll have a match of the century by tuning gray’s coldness down. Bold, warm colors like red, yellow and orange achieve the same effect. That said, you can choose shades of gray to complement your kitchen’s color scheme. For example, gray accents matched with blue make your kitchen look inviting. On the other hand, darker shades of gray allow for contrast, similar to a French provincial home, and contours the outlines of your kitchen. 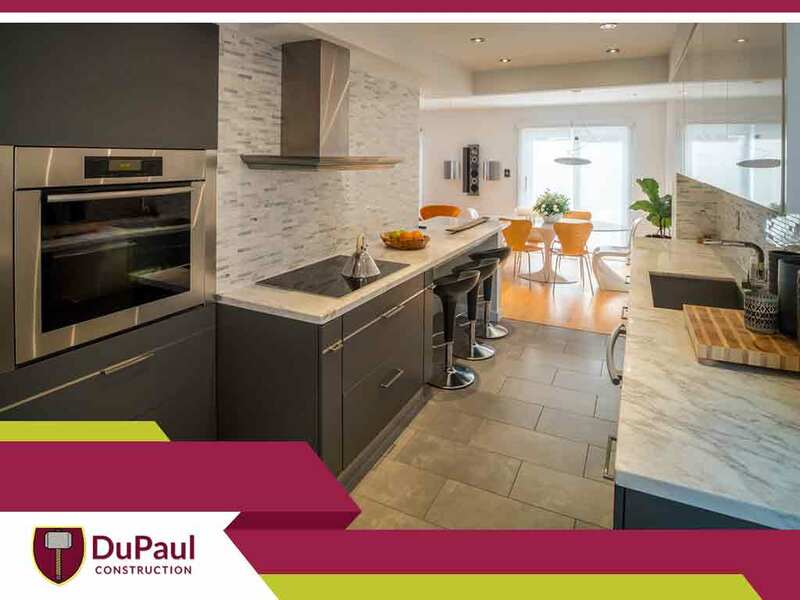 At DuPaul Construction, we offer a variety of kitchen hardware and services, but we also extend our expertise to other home improvement areas like basement renovations. Our commitment is to give you the best kitchen design that fits your lifestyle. Learn more about us by calling (304) 759-8543. You can also fill out our contact form to request a quote. We serve Martinsburg, WV, and nearby areas.